Make sure you drink a lot of water so you don’t get heat stroke. Yikes! I think I may be dehydrated. My head is killing me. My kid threw up several times after her sports festival. I think she has heat stroke. I feel so lethargic. I don’t want to do anything. The UV rays are really bad today, so drink lots of water to avoid heat stroke. After she ran the marathon, my mom passed out. I am sweating like crazy, and my stomach is killing me. My sister worked way too hard, and she had a nervous breakdown. She is resting at home now. 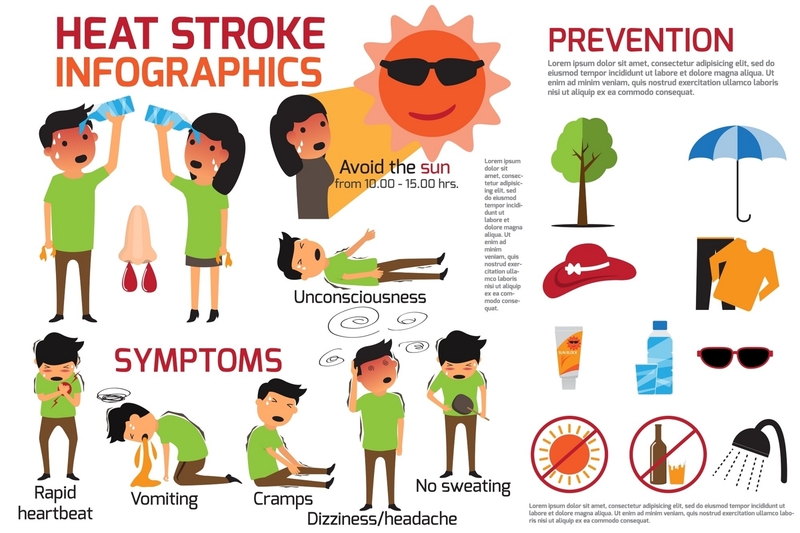 If you feel listless and have a headache, you very well may have heat stroke. I have absolutely no appetite today.